Gmail is one of the most popular email services on the planet, so it’s no surprise that people want to check it easily from everywhere. Thankfully, Gmail is integrated with so many services you’d be surprised just how many ways there are to check your Gmail inbox. Would you believe that there are over 21 ways to take a quick peek at new emails? It’s true. Whether it’s on your smartphone, desktop, laptop, browser, and even your smart home devices, you can stay aware of any new incoming email. This article will guide you through any method you can imagine to check Gmail. These are the places you can check email. Make a note of the ones that matter the most to you. You’ll find several choices in each section. Review each and choose the options that fit your own needs best! The easiest way to be more productive is to read, reply to, and organize your emails while you’re on the go. No need to be tied down to the computer when there are so many options available for mobile email clients. If you only care about Gmail and no other email provider (like Yahoo or Microsoft), then your best bet is to stick with one of Google’s mobile email client offerings. The most popular one is the Gmail mobile client. This is the one I’ve used for years because it’s pretty much embedded with whatever account you’ve signed up with on your Android phone. You can add as many Gmail accounts as you like, and switch between them using the quick profile-switch icon in the upper left corner of the screen. If you want something a tiny bit more stylish, you might consider Google’s other offering, Google Inbox. Switching between your Gmail profiles is just a matter of tapping one of the profile icons at the top of the screen. Each email display in the inbox provides a preview snippet of the email itself, which saves time if you want to delete emails you know are a waste of time just from the first line. Whether or not you’re a fan of Microsoft, the fact is they offer a great mobile email client in the form of Outlook Mobile. 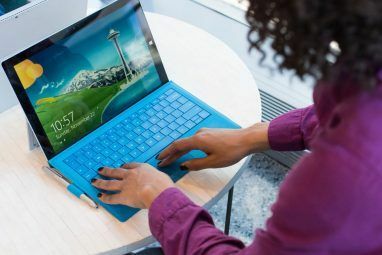 Outlook Mobile lets you connect to your Gmail account, but if you work for just about any company in the world the odds are pretty good you need to get your email from an Exchange server as well. Outlook lets you do that. You can also get your email from Office 365, Outlook.com, and Yahoo Mail. It’s the perfect one-stop shop for all your email accounts, preventing you from having to run five different apps just to check all of your accounts. Once I stumbled across Blue Mail, I fell in love. The interface is so much more intuitive and easy to use than just about any other mobile email client. You can give each account (listed along the left side of the navigation bar) its own nickname. And as you review emails in the Inbox, you can swipe right or left to do things like delete, snooze, and more. It’s one mobile email app that lets you do more, much faster. If you’re a minimalist who likes to have as little installed on your smartphone as possible, this is the perfect solution for you. You can set up Gmail-to-SMS so that you can bypass any mobile email client and just receive important emails via SMS. You can set this up in just four simple steps. You need to determine the SMS Gateway for your provider. Here are the most popular ones. Gmail will send your phone a confirmation code. Type that code into the verification box in the Gmail settings window. Keep in mind that this will forward all your email to you via SMS. The odds are, you probably only care about important emails, like those from your boss. The final step is to create a filter by clicking on the creating a filter link. In the popup, add from email addresses, subject words, or content words that you want to use to trigger forwarding to SMS. Finally, click on Forward it to, and select the phone number SMS email you created in the previous step. Once you click on Create filter, only emails from your filter will get sent to your phone via SMS. Now you don’t have to check your phone for new email every five minutes! 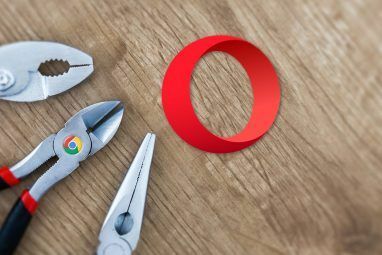 If you spend a lot of time in your browser, or you use a Chromebook, the odds are good that you could make good use of a Gmail browser extension. These four extensions will either let you check, or pass notifications, for new incoming emails in your Gmail account. It’s really annoying to have to go to Gmail.com every time you want to check your mail. But if you use the Checker Plus extension for Chrome or Firefox, your browser will do the checking for you. The extension is customizable with a dizzying array of options. Not only do you get notifications when new emails come in, but this extension is essentially an embedded inbox right in your browser. You can hover over each item and quickly star, archive, or delete. You can even click on an email and reply to it from right inside your browser. An email will never distract you from your web browsing again! If you prefer to have your email open in a browser, and you’re a fan of the Thunderbird email client, then you might be happy to learn that there’s a Thunderbird extension for Chrome. Technically, it’s not really embedded into your browser at all. It just opens up a new tab with online Thunderbird where you can review your Gmail inbox. The only real benefit it has over web-based Gmail is that it also allows you to add your other cloud email accounts so you can view all your emails in one browser tab. If you’re a Firefox user, have no fear. There are plenty of extensions for you to monitor your Gmail account from your browser. One of the best of these is Gmail Notifier Plus. Gmail Notifier Plus is a lot like Checker Plus, as it lets you browse through and reply to emails in-browser in much the same way. You can hover over the Gmail icon to see a quick list of recent emails, or click on it to see them with preview snippets. You can reply, star, or delete emails from right inside the pop-up window. If you want to expand beyond just checking your Gmail account, you can check other email accounts as well by using X-notifier for Firefox. Once you install it, just click the icon in the menu and click on Options. As you can see, the options for the number of accounts you can monitor with one browser extension is long. Pull in emails for everything from your Gmail and Yahoo accounts to AOL, Hotmail, and even RSS feeds. Clicking on the icon in the browser menu, you’ll see unread emails in each account. Clicking on any of these will open up the account in a new tab. It’s a notifier that lets you bypass the need to log into your accounts to reply to emails. If you prefer Firefox, you’ll want to check out Mihir’s long list of 11 Firefox extensions for Gmail 11 Best Gmail Firefox Extensions 11 Best Gmail Firefox Extensions Love Gmail, but can't bear Chrome? Firefox has some amazing Gmail extensions that Chrome users would kill for. Read More . 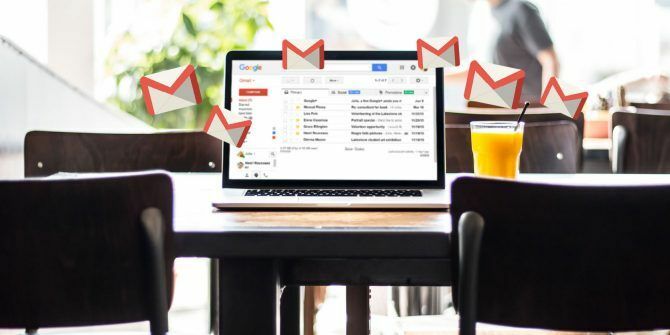 We’ve also covered Safari extensions for Gmail as well 5 Extensions That Make Safari a Gmail Productivity Powerhouse 5 Extensions That Make Safari a Gmail Productivity Powerhouse Extensions should be all about productivity. What can they do to make you more efficient? Safari has some excellent Gmail extensions that let you have your emails proofread, securely sent, scheduled, and organized by customer. Read More . If you like to access your email on the web, but you want a little more control over where your email is stored, a good option is to set up your own webmail host. There are a lot of free, open source applications out there that you can install on any web host. These serve as email clients, but it’s accessible via the web. If you like the desktop feel but prefer accessing your email via a web browser, RoundCube is the way to go. It’ll run on a standard LAMPP server, and it includes an IMAP library that lets you connect it to your incoming emails from your Gmail account. Many people like the client straight out of the box, but with the custom skins, you can make it look however you like. With support for PHP, HTML 4.0, SquirrelMail is a simple solution for a quick webmail client. It’s one of the most inter-compatible webmail clients across many browsers. With support for IMAP and SMTP, it offers everything you need to connect to your Gmail account and manage all of your emails without having to log into your Gmail account. Also based on PHP (5.4 or above), Rainloop will run in any Apache, NGINX, or other web servers that supports PHP. It works well on all major browsers. Like with SquirrelMail, the interface is fairly minimalist but still filled with the important features you’d expect from any modern email client. It has the necessary IMAP support for connecting with your Gmail account. The SSL and STARTTLS support for security is a big bonus. Extras: It includes integration with Facebook, Google, Twitter, and Dropbox. This makes it an ideal platform for managing your work and communication. In the process of using several web hosts over the years, I’ve used Horde often to manage domain-based mail accounts. It has a clean interface with a lot more features than other webmail clients. For example, you’ll also find a calendar app, task manager, and a notes app embedded with the webmail client. Horde also has IMAP and POP3 integration, and setting up your Gmail accounts inside the client is very simple. It would be hard to list all of the features of Horde on one page. But, Horde is a good first choice if you’re looking for a single webmail client that’s most likely to have everything you need. While there are many people who prefer mobile or web-based email clients, there is still a very large contingent of people who prefer monitoring and replying to email on a good, old-fashioned desktop app. Of course, there’s nothing “old-fashioned” about the apps in this list. They are all modern, nd filled with all of the bells-and-whistles you’d expect from a full-featured desktop email client. When you install the eM Client on your desktop or laptop, the first option when you launch is to select your preferred theme. If you like dark themes, the Dark option is pretty nice. Importing your account emails is as simple as typing in your email address and clicking Next. The eM client does all of the heavy lifting for you once you allow it to access your account. To add more accounts at any time, just click on Menu > Tools > Accounts. The pane flow from left to right is: account navigation, email inbox preview, and email preview. eM is great for monitoring multiple Gmail accounts, and it also supports Microsoft Exchange and iCloud. Unfortunately, Yahoo blocks authorization through the app. Keep in mind that the free version only allows up to two accounts. If you have more email accounts you’re hoping to manage, you’d do well to take a look at other options. 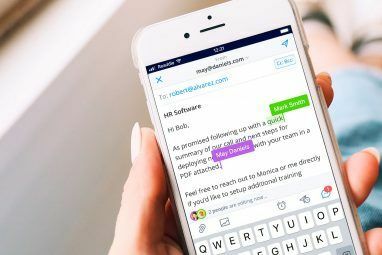 When you first install Mailbird, you’ll have the option to integrate it with several apps you might not expect, like Facebook WhatsApp, and Slack. The UI for Mailbird is very modern, with a narrow left panel for navigating between email and your other app integrations. The middle panel is an inbox preview for your Gmail account, and the right panel is a preview panel for each email. You can customize this layout if you want. Like eM Client, the free version of Mailbird only allows a limited number of accounts. But it does allow the app integrations, so if you only have a few Gmail accounts to monitor, this may be the perfect desktop email client for you. Thunderbird is probably one of the most popular, 100 percent free desktop email clients available today. It has come a long way through the years. The UI now reflects an app that has kept up with the times—it’s modern, highly functional, and very easy to navigate and flip back and forth between accounts. Since Google provides POP3 and IMAP access to your Gmail accounts, you can access any Gmail account using Thunderbird. In fact, you can access any email service that offers POP3 and/or IMAP. Yahoo is a little more difficult if you have a free Yahoo account. But you can use a service like YPOPs! to enable access. Thunderbird has always been at the top of the list when it comes to desktop email clients, and its reputation continues with Gmail. Claws Mail is an impressive, 100 percent free desktop email client available for both Windows and most popular Linux distros. It doesn’t use the Google API to obtain your permission to connect to your email account. Instead, you need to know the correct POP3 account details. You can get these in the Settings of your Gmail account, under the Forwarding and POP/IMAP menu option. The appearance of Claws Mail has the look of a typical desktop app, and less like a browser-like, modern UI like Mailbird and eM client. It’s very much a scaled down version of Thunderbird, but no less functional. Any email account with IMAP/POP3 connectivity can be accessed using Claws Mail. Most of these apps are only for Windows, but if you use Mac we’ve got you covered with a review of Sparrow The Search for the Perfect Mac Desktop Gmail Client The Search for the Perfect Mac Desktop Gmail Client Need a desktop client for Gmail on your Mac? Here are the best we could find. Read More , a desktop email client for Mac. While the technology is fairly new, there are a lot of very creative ways you can use smart technology to get notifications for when you’ve received new emails in your Gmail accounts. 18. Lights How to Make Your Home Lights Blink When People Post About You Online How to Make Your Home Lights Blink When People Post About You Online With IFTTT, you can take home automation a step further by having your lights in your home change each time you're mentioned in cyberspace! Here's how to do it. Read More : Make your lights blink whenever you receive a new email. 19. Raspberry Pi Make a Raspberry Pi Gmail Notification Light Make a Raspberry Pi Gmail Notification Light In this quick and easy Raspberry Pi project, you'll learn how to make a Gmail email notification light. If you have any unread emails, a Python script turns the LED on. Read More : Use the Raspberry Pi to trigger a Gmail notification light. 20. Alexa Just Bought an Amazon Echo? Download These 15 Essential Alexa Skills! Just Bought an Amazon Echo? Download These 15 Essential Alexa Skills! Alexa, the virtual assistant powering the Echo line of speakers from Amazon, gets smarter daily thanks to a growing number of skills. Here are 15 skills everyone should enable as soon as they unpack their... Read More : Get email notifications from Alexa. 21. Google Home How to Set Up and Use Your Google Home How to Set Up and Use Your Google Home Just purchased a new Google Home? Here's a step-by-step guide for everything you need to know to get it set up and working perfectly! Read More : Integrate Google Home with Gmail to receive alerts when new messages arrive. As time goes on, more smart home gadgets arrive on the market that offer options for mail notifications. There isn’t any excuse not to respond to emails anymore! As you can see, these days Gmail can be integrated with just about anything. Whether you prefer getting emails on your phone, laptop, or browser—there’s a solution for you. And if you’re just getting started with Gmail and want to dig in further, make sure to check out our extensive Gmail guide. If you’re a more advanced user, then the Power User Gmail guide is for you The Power User Guide to Gmail The Power User Guide to Gmail This free Gmail Guide is for those of you who already use Gmail as an email client and want to take maximum advantage of its many productivity features. Read More . I want to keep my personal and professional gmail accounts separate. The gmail and Inbox by gmail mix them and confuses me. Is there a way I can have separate emails in separate apps on my phone? To do this you'd need to use a Gmail app specifically for just Gmail email accounts, and then use a different mobile email client (not a Google app) for all of your non-Google email accounts. MUO has lots of options, just search the site for "mobile email clients"
I've been using Kiwi for Gmail on my macbook and it seems to work pretty well. Visually it looks a lot like the gmail web interface but it has many other options and allows you to make emails into notifications, reminders, appointments, etc. This is for personal use only so I'm not sure how it works for business. You forgot to include PopPeeper. I have been using it for years. Runs on Windows. It works with many many webmail sites and all POP and IMAP sites. I love it. I was looking for options to work with gmail and I find this article. really love this article, gave me chills reading it. Wait -- there's such a thing? ?